Real Trends, as featured in The Wall Street Journal has recognized Nancy Taylor Bubes as one of the top 1000 agents in the country for the past five years, including a ranking of #1 in DC in its 2016 rankings for individual sales volume (over $174,000,000)and number of transactions. She specializes in the high-end markets of Georgetown and upper Northwest, Kalorama, and Massachusetts Avenue Heights. Nancy has enjoyed an outstanding reputation among her clients over her 30 years in the business. Her clientele comes mainly by referral and includes a number of area CEOs, political leaders, and senior executives from every industry. They seek her out because she gives them the highest level of discretion and service. 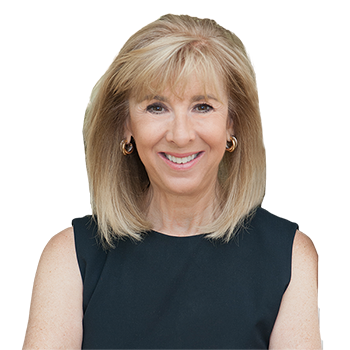 Nancy's career started in sales and public relations for Neiman Marcus and has thrived in residential real estate. She is a resident of Georgetown and is married with three children, all currently attending college. She has represented clients in every field and all price ranges and prides herself on customer service. Nancy is unique among other Real Estate professionals as she maintains lifelong relationships with her clients. Her expertise and experience allow her business to be based on repeat clients and referrals. I have worked with Nancy and her team for years both buying and selling homes in Georgetown. Her depth of knowledge and resources are unmatched in the Georgetown real estate market. Nancy and her team bring the highest level of service, experience and professionalism to the both home buying and selling experience. Her judgment and advice have been proven time and time again and, best of all, Nancy is an absolute pleasure to work with — as is every member of her team. I hope I am fortunate enough to continue buying and selling homes with Nancy's help for many years to come. Nancy's team helped us prepare our Georgetown house for sale with expert advice ranging from paint colors and floor stains to lighting fixtures. Nancy's marketing strategy brought us multiple offers and a sale in excess of our asking price. From listing to sale, our real estate transaction with Nancy Taylor Bubes was flawless. Nancy's wealth of experience in the market, eye for detail, and her intuition are dead-on. Nancy and her team are consummate professionals who made the process of selling our home smooth and easy. They exceeded our expectations with the level of service they were able to provide. Nancy helped us find our first DC house in Georgetown in 1998, then in 2002 she helped us sell that house and buy our Kalorama house, then in 2013 she helped us sell our Kalorama house before we moved to the Midwest. All of our selling and buying experience with Nancy and her team were fantastic. For our 2013 Kalorama house sale, Nancy and her team were on top of every detail in recommending improvements that would help sell the house and recommending the right contractors for the work. They prepared a truly beautiful color brochure and web site. The only problem was the house sold on the second day after listing so we had way too many brochures left over! We have recommended Nancy and her team dozens of times over the last few years and will continue to do so. Nancy, you and the people in your office made our move much easier than it might have been, and we are very grateful for your help. The Massachusetts realtor to whom you referred us also provided great service in a house-hunt that took quite a while but had a wonderful conclusion. Nancy is a Georgetown marvel. From her encyclopedic market knowledge to her engaging manner to her memorable name. She's the tops! Nancy Taylor Bubes is the best realtor I have ever used, and I have been involved in real estate development and transactions, both commercial and residential, for over 25 years. Her excellence is based not only on hard work and experience but also on an instinct for the deal, which is a rare asset and essential to providing clients with the best real estate experience possible. Most recently, Nancy was the lynchpin in a real estate deal for me involving the purchase of a house in Georgetown and the sale of one in which I had lived for 10 years. Because of her hard work and intuition, she accomplished both ends of the deal to my advantage. Her skill in negotiating was a key to the success of both transactions. I was so impressed by her ability to price correctly, negotiate, and close both deals, that I suggested her to my mother, who was contemplating selling her home in Chevy Chase, MD, which she and my father had owned for over 50 years. Such was the level of trust that I have in Nancy, that I believed she would treat my mother empathically as she made this emotional transition, as well as get her the best price for her home. Nancy came through with flying colors! She made great suggestions on how to update and stage the house for today's seller, and, after following her sage advice, the house was sold within one week at an exceptional price. My mother could not have been happier. As I have said, I would trust Nancy with any real estate transaction and recommend her highly to friends and family. It doesn't get more full-service than working with Nancy Taylor Bubes. Her whole team is amazing, and you feel like you are part of a family. They provide amazing support and help you keep calm throughout an otherwise stressful process. Her attention to detail really pays off when selling a house. There are two things that really stand out for us about working with Nancy Taylor Bubes. First, while Nancy has put together a team of amazing people who make sure everything in the process is handled well, Nancy herself was always personally available to us. Every question, every concern, every second-guess, Nancy was always the one with whom we worked. Second, Nancy has a tremendous commitment to the community. She is truly a business person who is giving back and making the community stronger. It's great to have her for a neighbor. We recently purchased 6307 Broad Branch in Chevy Chase Village, and today we accepted an offer for our former home, 5211 Chevy Chase Parkway. We worked with the fantastic Nancy Taylor Bubes and her extraordinary team for both deals and are thrilled with both outcomes. I'd like to give special mention to Kelsey Walker McCarthy, who gave us terrific advice from beginning to end. She has a keen business sense as well as great eye and impeccable taste. She has a huge future, and you are lucky to have her at your company. "God Himself could not have been a better Agent had He come down from on High.